We are more than just your dedicated digital design team. Our mission goes beyond just building the best mobile apps and modern websites. Exceeding expectations and ensuring the continued success of our clients is our mission. From project design and software development to fanatical performance optimization and solid security, your best interests and online marketing solutions are always in focus. Amy has a Master’s Degree in Computer Science from the University of California, Irvine and is a published author. She started her career as a Unix System Administrator and has since employed her skills as a software developer, engineer, associate researcher, security analyst, integration lead, escalation manager, and technical consultant. 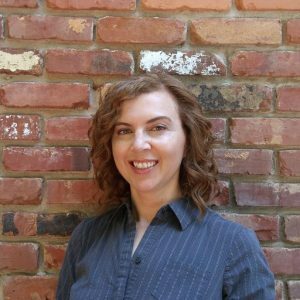 She has worked at Northrop Grumman, Quest Software (now Dell), the University of California (UCI), and several technical consulting firms. See more details on her LinkedIn page. Outside of the digital world, Amy enjoys spending time hiking, kayaking, practicing yoga and meditation. 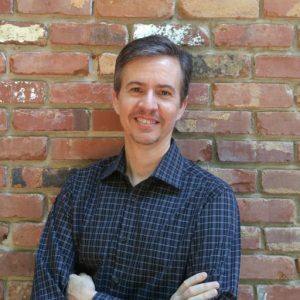 Roger has an extensive background in software development, website design, mobile app development, graphics design, customer support, and training. He lead a team of successful software engineers at Quest Software and OpenText Corporation. He has been building and managing online destinations since the pre-web days of online bulletin boards. He is also involved in emerging 3D Virtual World and VR platforms where he creates soundscaping tools for builders to use in their creations. See more details on his LinkedIn page. Outside of work, Roger enjoys hiking, kayaking, and the occasional hobby of vintage arcade/pinball/computer emulation.